Bordados de Oh Sew Bootiful. 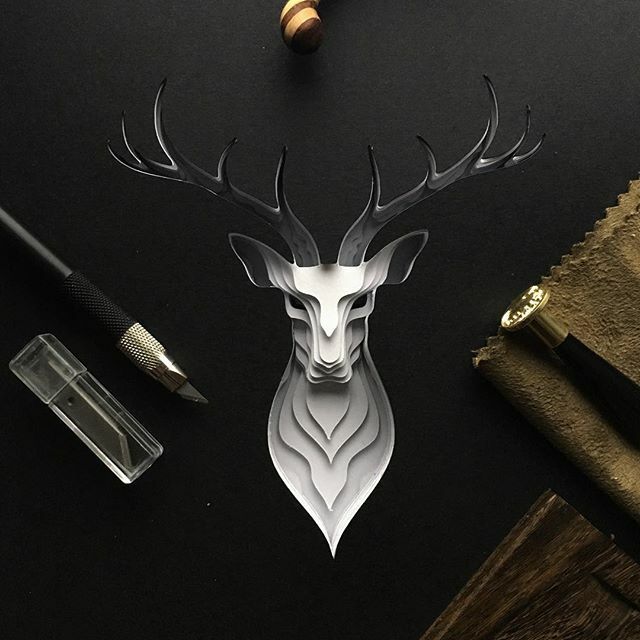 Podéis adquirir los kits para hacerlos en su web. Embroideries by Oh Sew Bootiful. 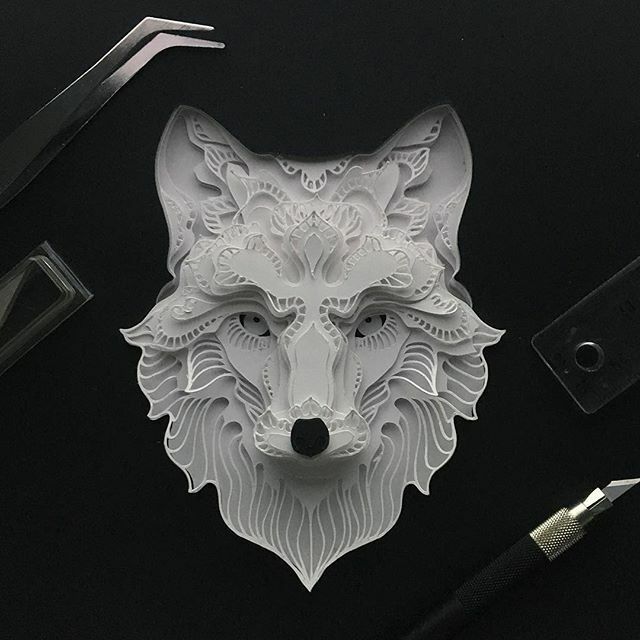 You can buy the kits to make them on their website. 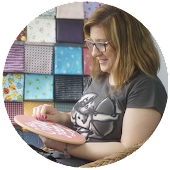 Estupendo tutorial de Torie Jayne para coser esta bolsa para crafters. 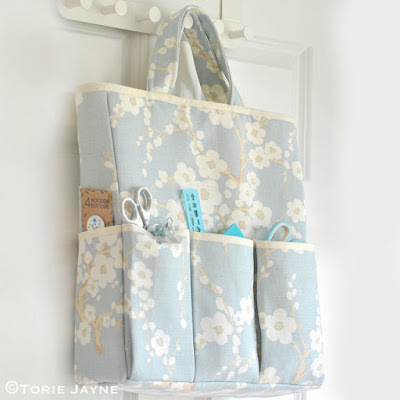 Great crafter bag tutorial by Torie Jayne. 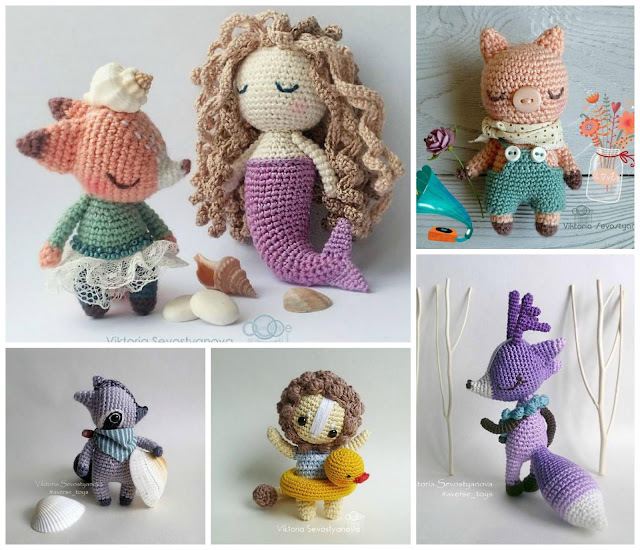 Los encantadores amigurumis de Viktoria Sevostyanova. Sweet amigurumis by Viktoria Sevostyanova. En Marie Claire Idées tenéis el patrón gratuito para tejer esta colcha de bebé. You can find the free pattern of this baby blanket on Marie Claire Idées. 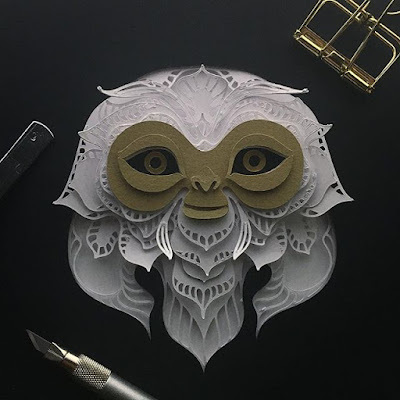 Bonitos colgantes tejidos de Philippa A Taylor. 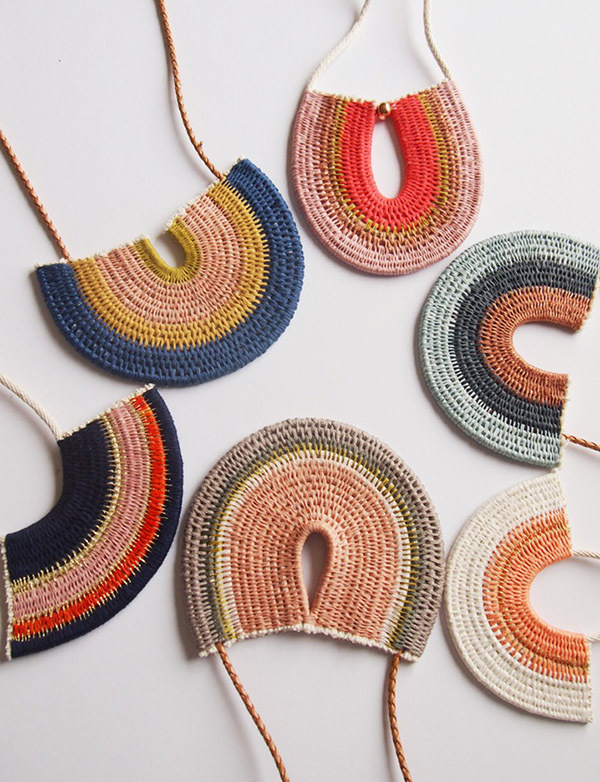 Nice woven necklaces by Philippa A Taylor. Proyecto fin de semana: sencilla chaqueta de punto infantil. El patrón gratuito es de Mme Bottedefoin. 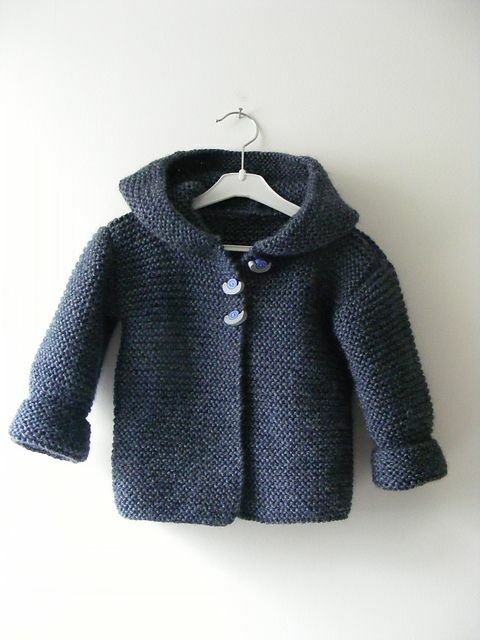 Weekend project: knitted baby jacket. Free pattern by Mme Bottedefoin. 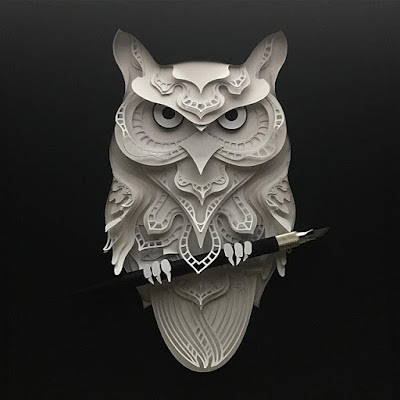 Delicados animales de papel de Patrick Cabral. Delicate animal papercuts by Patrick Cabral.